As 1 Corinthians 12:14 states, “For the body is not one member, but many,” and as it is said in Ecclesiastes 4:9, “Two are better than one; because they have a good reward for their labor.” So too, is it with Franconia Conference. Each member of the Franconia Conference team being a vital piece, bringing their gifts and talents to further the work of the Lord. This month Franconia Conference welcomed several new members to the team including two new board members and new staff. At the March 19 Conference Board Meeting, Yvonne Platts of Nueva Vida Norristown New Life and Cory Longacre of Souderton Mennonite Church were welcomed as new board members. Yvonne was affirmed by board vote. Cory was affirmed by the board to replace the assembly-appointed board member Smita Singh who resigned this past fall. He will therefore be on the ballot at the fall 2018 Assembly for delegate affirmation. Both Yvonne and Cory bring long-standing Anabaptist roots within Franconia Conference and deep connections to their local communities. 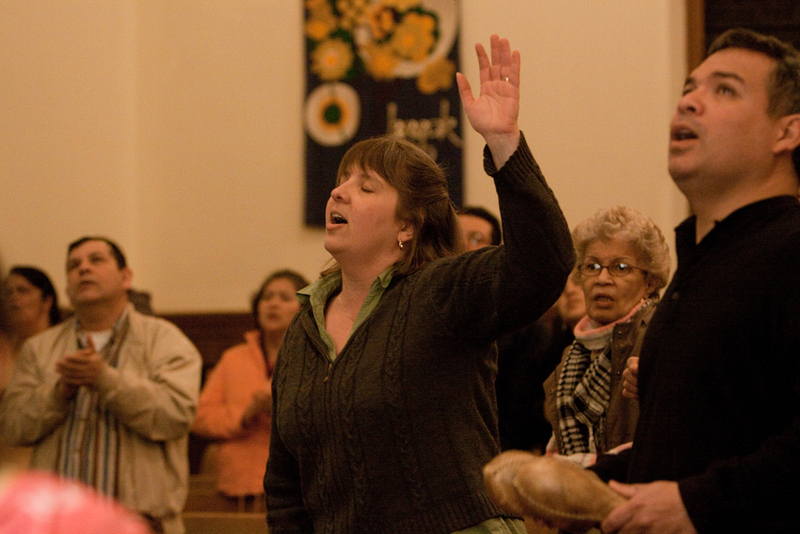 Yvonne Platts was baptized at an early age in the Mennonite church and has grown up at Nueva Vida Norristown New Life. Yvonne serves within her congregation on the Enlarging Our Place in Gods World Leadership Team. Her primary work is with Family Services of Montgomery County as a Community Outreach Worker with the Norristown Violence Prevention Initiative, from whom she received the Outstanding Service Award in November 2017. She is also a member of Roots of Justice Inc. which addresses issues of racism and other oppressions, creating awareness, understanding and knowledge toward building a just society for people groups in churches, organizations, and community. Currently, she is actively working within the Norristown School District to train Circle Keepers for Restorative Justice Peace Circles. Training and equipping community members to become Circle Keepers is a deep passion of Yvonne’s, as she hopes for the establishment of community based alternatives to juvenile detention. Yvonne is a graduate of The Center for Urban Theological Studies and holds a Master of Science in Restorative Practices and Youth and Family Counseling from The International Institute of Restorative Practices. There is no doubt that Yvonne Platts has a deep drive for peace and justice and will bring her dedication to social justice to her work with Franconia Conference. Cory Longacre comes to the Conference Board recently finishing his third-and-final three year term on the Souderton Mennonite Church Board where he spent the last three years as chair. Cory grew up at Swamp Mennonite Church, settling in after college at Souderton with his wife Linda. He first accepted Jesus at Spruce Lake Camp around the age of 13 and was then baptized at age 15 at Swamp. He is a graduate of Dock Mennonite Academy, both the former Penn View Christian School and Christopher Dock Mennonite High School. He also received his Bachelors in Business Management from Eastern Mennonite University where he met his wife Linda, whom he married in 1993. They have 3 children: Olyvia, age 19, Davry, age 15, and Zeke, age 11. Cory currently co-owns TNC Self Storage and is Fleet Operations Manager at Perkiomen Tours. Previously he spent 20 years with Farm & Home Oil Company where he started in sales, then after 4 years transitioned to management, moving his way to Vice President where he spent several years before ending his time with the company. “Cory brings a wealth of experience as both a community and business leader. He is both reflective and entrepreneurial — assets for our Conference,” said Steve Kriss. Joining the Franconia Conference in staff roles, are Jeff Wright as a LEADership Minister, Chantelle Todman Moore as Intercultural Leadership Coach, and current LEADership Minister Marta Castillo, who is increasing her time with the Conference and becoming the LEADership Minister of Intercultural Formation. 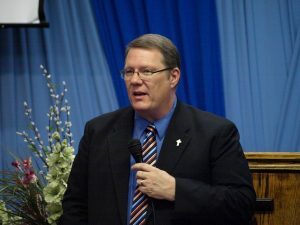 Jeff Wright will serve as a LEADership Minister, specifically working with Franconia Conference’s three congregations in Southern California: Indonesian Community Christian Fellowship, International Worship Church, and Jemaat Kristen Indonesia Anugerah (JKIA or Grace Indonesian Christian Fellowship). Jeff has served in a dual role as pastor of Madison Street Church, a Brethren-in-Christ congregation in Riverside, California and as president of viaShalom, a small not-for-profit, since 2009. viaShalom is a not-for-profit missional resource agency that currently operates three ministries: commonGood, a local, asset-based community development effort; viaGLobal, which support St. Francis Primary School located in Morsul, Rajshahi in Bangladesh serving approximately 80 Christian families belonging to the Santal minority; and Urban Expression North America, “a consultancy specializing in creating and sustaining urban incarnational experiments, and affiliated with similar ministries across Europe.” Bike and Sol, run by Pastor Scott Roth of Perkiomenville Mennonite Church, is a project of Urban Expression and has worked closely with Jeff. Jeff has also done consultancy work with various congregations both in Franconia and Eastern District Conferences. Jeff holds a Bachelor of Arts from Tabor College, a Master’s of Divinity from Fresno Pacific Biblical Seminary and earned his Masters of Business Administration with a focus in church management from the Graduate Theological Foundation. In addition, he has a Post-graduate Diploma in Applied Theology from Spurgeon’s College in London. He lives in Riverside, California with his best friend/wife Debbie. They have two adult children who he said also married their best friends. Jeff enjoys time with three grandchildren and the “church mascot/beagle-terrier puppy, Madison”, who lives with them and constantly digs up their backyard! 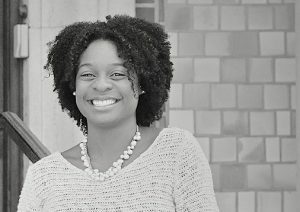 Chantelle Todman Moore comes to Franconia Conference as Intercultural Leadership Coach, where she will focus her work with our 15 urban congregations, looking at cultivating next generation leaders, focusing on persons age 15-35. She has also been tasked to think about what it takes for persons of color in ministry leadership to flourish and how that can be cultivated within Franconia congregations. In addition to taking on this role with Franconia Conference, Chantelle is the co-founder of unlock Ngenuity a consulting, coaching and therapy business. She previously served as the Philadelphia Program Coordinator for Mennonite Central Committee (MCC) and as a Program Director at both Oxford Circle Christian Community Development Association and Eastern University. Chantelle holds a Bachelors of Arts in International Community Development from Oral Roberts University, a Masters of Business Administration in International Economic Development from Eastern University, and is a Qualified Administrator for the Intercultural Development Inventory (IDI). She says she is “passionate about embracing diversity and difference as a gift, seeking justice as a mandate and being moved to act by love.” Chantelle lives in Philadelphia with her spouse, Sam, and their three daughters. Marta Castillo is not new to the Franconia team, but will be increasing her time. After serving almost five years on the Conference Board, Marta joined Franconia Conference as a LEADership Minister in in 2016, while simultaneously serving as co-pastor at Nueva Vida Norristown New Life. She stepped away from the position at Nueva Vida in December, as she felt the Spirit leading her elsewhere. At the time she did not know that “elsewhere” would include increased time with Franconia Conference. 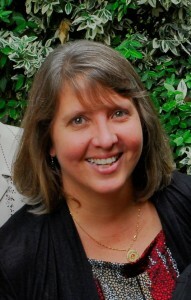 The Conference is grateful to have Marta move into the role of LEADership Minister of Intercultural Formation. The daughter of Franconia Conference-rooted mission workers, she has been shaped by all four of the linguistic cultures in Franconia Conference, growing up in both Vietnam and Indonesia. While being a primary English speaker, she lives in a bilingual family and community of English/Spanish speakers. Marta is committed to prayer, along with active engagement of diverse neighborhoods with the message of Christ’s Good News. She is passionate about the intercultural work of unity in cultural diversity, antiracism, and racial reconciliation. She graduated from Eastern Mennonite College with a major in Elementary Education and is currently taking classes at Eastern Mennonite Seminary. Marta lives in Norristown, PA, with her husband, Julio and two teenage children, Andres and Daniel. 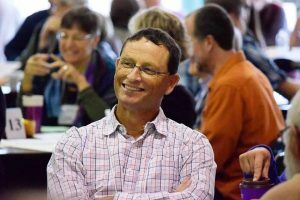 “Marta’s flexibility and linguistic capacity, her depth of spiritual practice and her experience working with pastoral teams combine to make her a uniquely gifted leader in our Conference,” said Steve Kriss. You can read more about Marta here. 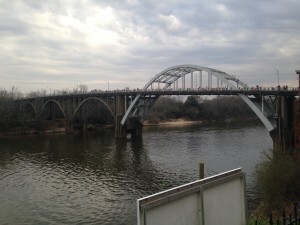 This year marks the 50th anniversary of three significant events in the civil rights movement in the United States: The Voting Rights Act, which prohibited racial discrimination in voting laws and practices; the Selma-to-Montgomery marches, part of the movement of rights for African-Americans; and “Bloody Sunday,” when marchers crossed the Edmund Pettus Bridge on the Alabama River and were attacked by police with billy clubs and tear gas when they refused to turn back. Every year, marchers gather to commemorate the event and honor those civil rights demonstrators. Here, Yvonne Platts reflects on participating in this year’s march. 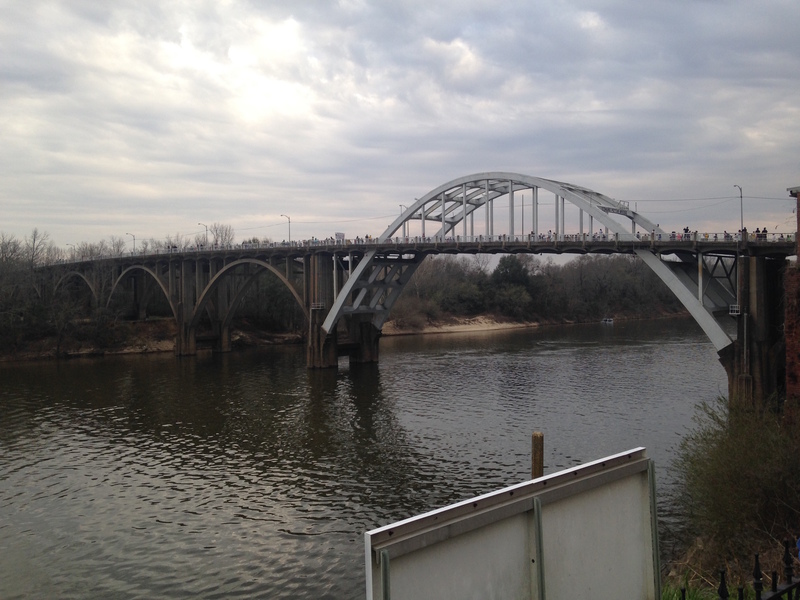 Marchers cross the Edmund Pettus Bridge. Photo courtesy of Yvonne Platts. As a Servant who has been called a many of times to many of places, and most recently to take part in the civil rights legacy known as “Bloody Sunday,” I am always in awe at seeing God’s handiwork on display. The day of the march was a warm and sunny day, and our 10 buses from 10 different cities arrived well before noon for the rally and march, that would start at 1:00 p.m. Right away, my spirit got swept up with joy as preparations were being completed. Vendors had their tables full of cultural and historical displays, charcoal was burning in the massive grills, and music was pumping through the air. Yet I knew this was more than just a good time; 50 years later we can clearly see a continuing pattern of systemic injustice within our police departments, government laws, and policies affecting voting rights of the poor, elderly, and people of color. Going back to work Monday was not as usual: this experience has had a profound impact that has changed me forever. I can longer be comfortable with the status quo, nor wait on the sidelines for someone else to step up. Now is the time! Change must come! The time is now! Reclaiming the best from our leaders in Selma who walked, were beaten, and bloodied to secure voting rights will help us to organize, move forward, and bring justice back to our urban communities. I am on a personal campaign to register all the 18-year-old youth I come across in my community. To work alongside others to bring political awareness through identifying candidates who will truly work with us to create a beloved community, and are worthy of our vote. To use my gifts and talents to lift spirits, encourage souls, and inspire minds to stand against injustice anywhere and everywhere. Oh God our Father, continue to fill us with thy power to speak out and stand against injustices we see and face within our communities and areas of influence. Let us not miss out on opportunities to share your grace, show your love, and be a blessing to others. May we bold servants for your kingdom, fearlessly speaking the truth in love. Yvonne Platts attends Nueva Vida Norristown New Life. This week, we are sharing several reflections from participants on the October 2014 “Come and See” tour to Israel and Palestine. The tour is part of a broader initiative by Mennonite Church USA which encourages Mennonite pastors and leaders to travel to the region, to “come and see” what daily life is like for those who live there. 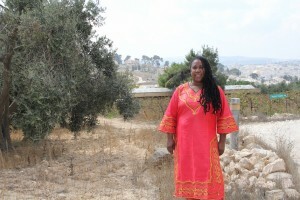 Yvonne Platts on the Mount of Olives, overlooking Jerusalem. Photo by Sheri Wenger. In reflecting on my experience on the Come and See learning tour to Israel-Palestine this October, I find my heart pounding and thoughts racing. They are racing over what feels like an overwhelming sense of duty to help others connect to the struggle and plight that our Palestinian sisters and brothers are enduring. 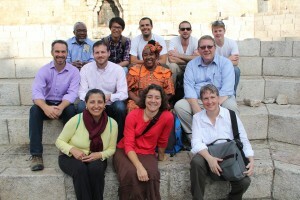 I went on the tour in response to an invitation to Mennonite Church USA leaders (pastors, denominational leaders, others) to join learning tours to Israel-Palestine in response to the Kairos Palestine document. This document serves as a call to Christians throughout the world to come and see what is happening in Palestine and to stand with Palestinian Christians against injustice and apartheid in their region. I was excited to have the opportunity to visit holy places such as the birthplace of Jesus, the Sea of Galilee and the Mount of Olives, and I was filled with curiosity about what was really going on in Israel and Palestine. I have come to realize that our U.S. news media does not always provide the most accurate reporting on the issues. I was very intrigued by our goal of meeting with people “on the ground” to gain a better understanding of the Palestinian-Israeli conflict and realities, as well as learning about Palestinian and Israeli organizations that are working for peace and justice—including those with whom Mennonite agencies are partnering. Another goal/expectation was that we would return home with a commitment to engage in education and advocacy regarding justice issues in Palestine and Israel, with the hope of moving toward a pro-justice, pro-peace and pro-Jesus approach—rather than simply a pro-Israeli or pro-Palestinian one. Prior to this invitation, I never considered visiting the region and was mostly unaware of the degree to which Palestinians are subjected to injustices on a daily basis. Right away, my mind, body and soul identified similar patterns of oppression, abuse, labeling and discrimination that African Americans in the United States experienced during Reconstruction and Jim Crow eras. I was reminded of the times of slavery, where families were separated and there was a deliberate movement by slave owners and the dominant culture to destroy people’s language and culture. I can relate to the cries of people asking for justice to be done. What good are international laws if they cannot hold the government accountable? What I saw and recognized was that despite an intentional and strategic plan to force people from a land and inflict upon them daily humiliation through checkpoints, to create purposeful hardships through the closing of significant streets, and more, a fearless spirit abounded of resistance and hope that people will be able to overcome these struggles. Palestinian Christians are counting on people like me and you to support their efforts for peace. If you haven’t yet read the Kairos Palestine document, please do so. I encourage you also to support Mennonite Central Committee and their partner organizations that are doing good work in helping to restore humanity in the region. Yvonne Platts is the minister of youth and community outreach at Nueva Vida Norristown New Life Mennonite Church in Norristown, Pennsylvania. This piece originally appeared in “On the Way,” a publication of Mennonite Church USA. Reposted with permission. 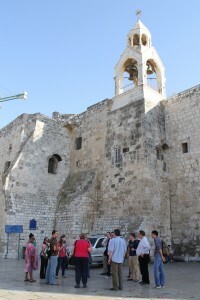 Our group of 12 pastors and leaders–from Atlantic Coast, Eastern District and Franconia Mennonite Conferences–traveled to the West Bank town of Bethlehem, having intellectually prepared ourselves by reading the history of and various perspectives on the Israel-Palestine conflict. We weren’t prepared for our encounter with the hard realities of life in this country that would shake our hope in humanity and reshape our worldview. The group sits on steps outside of the Damascas gate, Jerusalem. Photo by Sheri Wenger. One day, we were taken to a shrinking, dusty Palestinian village that sat in the shadow of a recently-built Israeli settlement. Our guide showed us the farm land that had been confiscated from the villagers for the use or disuse of the settlers. We saw the pond where the village children used to swim in the summer heat before they were chased away by armed settlers who came to the pond for their own recreation. We passed the entrance to the village where a checkpoint was often set up that made access to the outside world incredibly difficult. We heard the perspectives of Jews who are hardened to the suffering they cause by decades and centuries of fear, persecution, and constant threat. They told us of the hope they have because of Zionism and the establishment of their homeland, but we were deeply frustrated to see the harm that this continues to cause nearly 70 years after independence. The group on a tour of the Church of the Nativity in Bethlehem. The church is said to be built over the place where Jesus was born. It was site of refuge for Palestinians during recent violence. Photo by Sheri Wenger. We also met Jews who love their country but cannot support the oppressive actions of their government, so they endure teargas, rubber bullets, beatings, and arrests by the Israeli Army to stand alongside those without power. In our brief time touring both sides of the dividing wall, we heard stories from the people that were both encouraging and discouraging. At times, we felt like throwing up our hands and admitting that there is no hope for justice or peace in this place. Each of us felt frustrated by the discrimination, inhumanity, and senseless violence inflicted upon the Palestinian people. We also felt anger toward the international community and especially our own government that acknowledges these atrocities but doesn’t take action. But in spite of the discouragement we so often felt, we heard story after story showing the tenacity of the Palestinian people and their hope for a future. One of our guides was a Palestinian Christian with ancestry tracing back to the earliest disciples, who works tirelessly and daily risks imprisonment to raise awareness and promote peace in the area. Stories like this inspired us to come home and tell the stories of those in need of a voice and to promote shalom at home and abroad by encouraging all to be peacemakers in our broken world. 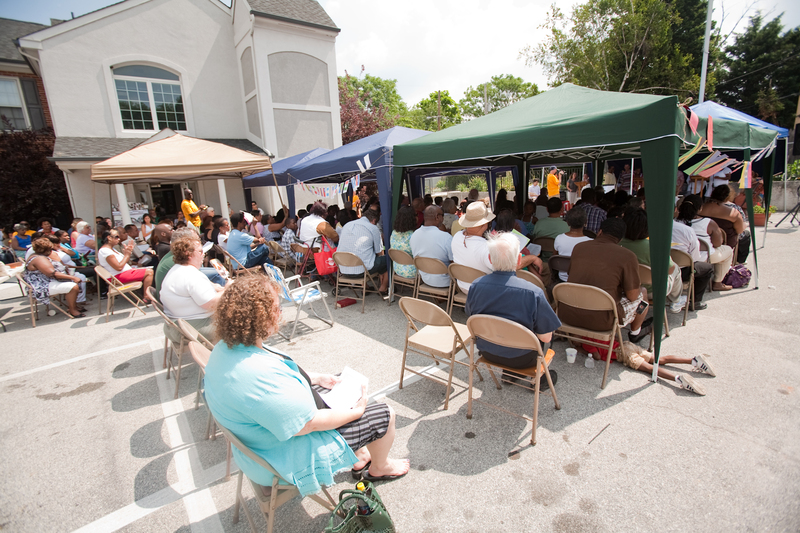 On the day that their meetinghouse and office building, New Life Plaza, was scheduled to be sold at sheriff’s sale, members and friends of Nueva Vida Norristown (Pa.) New Life gathered for a celebration. Instead of an impending foreclosure, the congregation experienced God’s miraculous intervention and, on the evening of December 18th, they met to worship, pray, testify, and burn the sheriff sale signs. Nueva Vida Norristown New Life (NVNNL) is a multilingual and multiethnic congregation in Franconia Conference that provides over a quarter-million-dollars’ worth of social services for its community including a child care center, youth center, internet café, photo ID application services, and a discipleship housing ministry. The congregation formed in 1990 with the merger of three Mennonite congregations: one Latino, one African American, and one Anglo and African American. Their vision for racial reconciliation and justice has led to ongoing witness in their community and within the regional and national Mennonite church. NVNNL bought New Life Plaza in 2007 as part of their “Enlarging Our Place in God’s World” campaign. The office building, located next door to their church facilities, provided space for new and growing ministries as well as offices that could be leased to generate income for the congregation’s vision of ministry and outreach. Soon after, however, the United States entered a recession and New Life Plaza slowly lost tenants until it was nearly empty. Interest rates on the Plaza’s mortgage remained high and the mortgage payments became impossible to pay. By summer of 2013, the bank had decided to foreclose. Congregational leaders and business people from Franconia Conference began meeting in the summer of 2013 to discern what the next steps might be. All agreed that the ministry and witness of NVNNL was too important in the life of the conference to lose. One leader in the group was Paul Lederach, a former bishop from Franconia Conference who, born and raised in the Norristown mission church, continued to advocate on the community’s behalf until his death on January 6, 2014. He was 88. The conference partners began negotiating with the bank and gathering pledges; by that fall, they had collected nearly $350,000 from congregations and individuals in gifts and loans. In December, they bought out the mortgage on New Life Plaza, settling on December 30th. NVNNL will have three years interest-free on part of the mortgage and five years interest-free on the rest, with the understanding that the mortgage must be paid off by the end of that time. Two loans with the bank also remain, with more manageable payments. NVNNL gathered to worship in the parking lot of the New Life Plaza to celebrate the congregation’s 20th anniversary in 2010. Photo by Tim Moyer. Moving into 2014, the future looks brighter, with the possibility of new tenants and a slowly improving economy in Norristown. “The ministry that started here in 1918 will continue,” Williams said, “and everything we have done to gain a more stable financial situation will benefit future generations.” In the immediate future, the congregation will begin raising funds to pay off the loans, work on renovations in the Plaza, meetinghouse, and youth center, and continue to expand and grow deeper in their intercultural ministry. 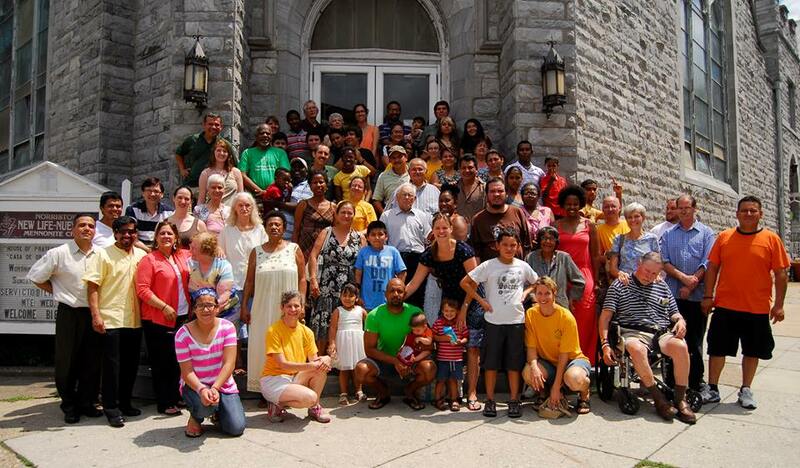 El día en que estaba prevista para ser vendidos en la venta del alguacil su centro de reuniones y edificio de oficinas de Plaza Nueva Vida, miembros y amigos de Nueva Vida Norristown ( PA) se reunieron en una celebración. En lugar de una ejecución hipotecaria inminente, la congregación experimentó la intervención milagrosa de Dios y, en la tarde del 18 de diciembre, se reunieron para adorar, orar, testificar, y quemar las muestras de la venta del sheriff. Nueva Vida Nueva Vida Norristown ( NVNNL ) es una congregación multilingüe y multiétnica, en la conferencia de Franconia que proporciona un poco más de un cuarto de millon de dolares en servicios sociales para la comunidad, incluyendo un centro de cuidado infantil, centro juvenil, internet café, las fotos de los servicios de aplicaciones de identificación, y un ministerio de vivienda de discipulado. La congregación se formó en 1990 con la fusión de tres congregaciones menonitas: una latina, una afroamericana, y una anglo. Su visión de la reconciliación racial y la justicia ha llevado a testimonio continuo en su comunidad y en la Iglesia Menonita regional y nacional. NVNNL compró Vida Nueva Plaza en 2007 como parte de la campaña “Ampliando Nuestro lugar en el mundo de Dios.” El edificio de oficinas, situado al lado de sus instalaciones de la iglesia, con la condición de espacio para los ministerios nuevos y en crecimiento, así como oficinas que podrían ser alquilados para generar ingresos para la visión de la congregación del ministerio y la divulgación. Poco después, sin embargo, los Estados Unidos entró en recesión y Nueva Vida Plaza perdió lentamente inquilinos hasta que estaba casi vacío. Las tasas de interés sobre la hipoteca de la Plaza se mantuvieron altos y los pagos de la hipoteca se hicieron imposibles de pagar. Para el verano del 2013, el banco había decidido ejecutar la hipoteca. NVNNL, cuya visión es ser una “casa de oración para todas las personas”, continuó trayendo su necesidad a Dios. Mientras oraban fervientemente, “Dios movió a la gente a involucrarse en formas y por razones que no se entendían”, dijo Jim Williams, presidente del Equipo del ministerio de Administración. “Un grupo se acercó lentamente a nosotros que dijo, ‘No podemos permitir que esto suceda’’’. Líderes congregacionales y empresarios de la Conferencia de Franconia comenzaron a reunirse en el verano del 2013 para discernir cuáles podrían ser los próximos pasos. Todos estuvieron de acuerdo que el ministerio y el testimonio de NVNNL era demasiado importante en la vida de la conferencia para dejar perderse. “La gente aprecia la misión que NVNNL tiene en su comunidad, la manera en que sirven a la gente en su barrio”, dijo John Goshow, moderador de la Conferencia de Franconia y uno de los líderes que iniciaron la reunión. “También hay una conexión histórica aquí—la gente oía constantemente acerca de Norristown durante mucho tiempo y afirmó el papel vital que la congregación ha desempeñado en la Conferencia de Franconia en estos años”. Uno de los líderes en el grupo era Paul Lederach, un ex obispo de la Conferencia de Franconia que, nacido y criado en la iglesia de la misión Norristown, continuó abogando en nombre de la comunidad hasta su muerte el 6 de enero de 2014. Tenía 88 años. Los socios de la conferencia comenzaron a negociar con los compromisos bancarios y las promesas; durante el otoño, se habían recaudado casi $ 350,000 de las congregaciones e individuos en los regalos y préstamos. En diciembre, compraron la hipoteca sobre New Life Plaza, estableciéndose el 30 de diciembre. NVNNL tendrá tres años, sin intereses por parte de la hipoteca a cinco años sin intereses sobre el resto, en el entendimiento de que la hipoteca debe ser pagada por el final de ese tiempo. Dos préstamos con el banco también se mantienen, con pagos más manejables. “La nueva asociación en el ministerio entre algunas personas e iglesias de la Conferencia de Franconia y NVNNL es lo que hemos imaginado durante varios años”, dijo Adamino Ortiz, presidente del concilio de NVNNL. “Es una gran oportunidad para todos los involucrados a conocernos mejor, de compartir talentos, ideas y recursos [que será] el desarrollo de la visión y misión de la iglesia en los años venideros. Es una oportunidad para continuar con la visión y el legado del Hermano Paul Lederach y otros que servían en Norristown ante nosotros”. Entrando en el 2014, el futuro parece más brillante, con la posibilidad de nuevos inquilinos y una economía que mejora lentamente en Norristown. “El ministerio que comenzó aquí en 1918 continuará”, dijo Williams, “y todo lo que hemos hecho para tener una situación financiera más estable beneficiará a las generaciones futuras”. En el futuro inmediato, la congregación iniciará la recaudación de fondos para pagar los préstamos, trabajar en las renovaciones en la Plaza, centro de reuniones y un centro de la juventud, y continuará expandiéndose y profundizándose en su ministerio intercultural. “Hemos renovado la energía para continuar con las esperanzas y los planes que teníamos”, dijo Yvonne Platts, un miembro del equipo directivo de Ampliando Nuestro lugar en el mundo de Dios. “Tenemos una gran historia que contar—lo que somos, y que Dios nos ha llamado a ser, viviendo en la visión de tener una mayor presencia en el mundo de Dios”. 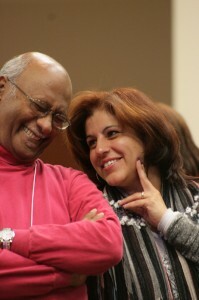 White was particularly struck by the call to unity, noting that “our future work as a multicultural group will only go as far as our unity will allow.” In order to experience and express that unity, leaders need to learn about and understand one another’s cultures, he added, which could be a challenge since the diversity within the church is great. “It has to start with how we best demonstrate that we care about each other,” he said. That raises the question of how current leaders are working to expand the leadership capacity in people of color within the Mennonite Church, White said. “Are we putting our young people of color in position to be our future leaders and how can we best equip them and create effective leadership among our cultures, and what can we do to support each other in this work?” he asked. Read the press release from Mennonite Church USA, Mennonite Mission Agency, and Mennonite Education Agency, the conference’s sponsors.